Ok. Start with your note or letter. Hand written or printed out with any particular font you like. Step one. 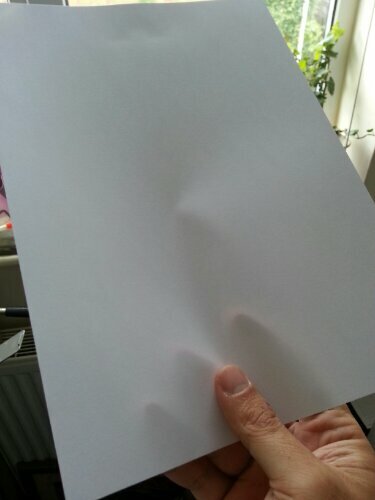 Blank page. Just an ordinary page. Step two. Once you have written upon it you need to scrunch. Do this once or twice. 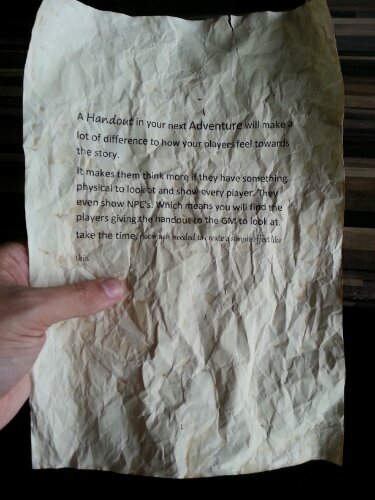 More times makes the paper softer and gives it an even older feel when handling. 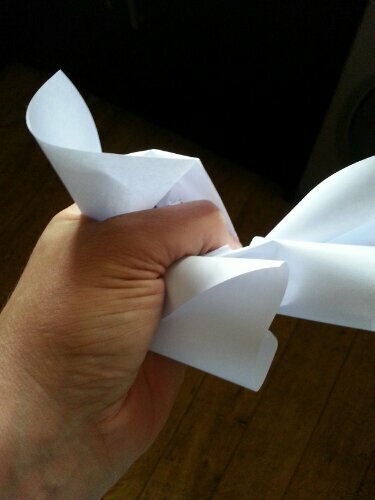 Then when satisfaction is achieved straighten out the paper. As you can see it already has that old wrinkled effect taking place. More needs to be done to get the standard you want. While you are doing this put your oven on a reasonable high heat and allow to pre heat. Next you will need a shallow tray. Just deep enough to hold a small amount of liquid. Also wide enough to place all your piece of paper within. Although this isn’t totally necessary as dipping the page works in any vessel. Then with cold unused coffee or tea. (I find coffee is best ) Immerse the page in the liquid. Gently lift out the page and turn over. 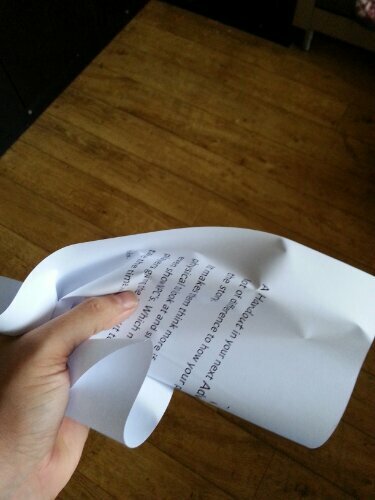 Remember the page will become wet and so very soft and prone to ripping. 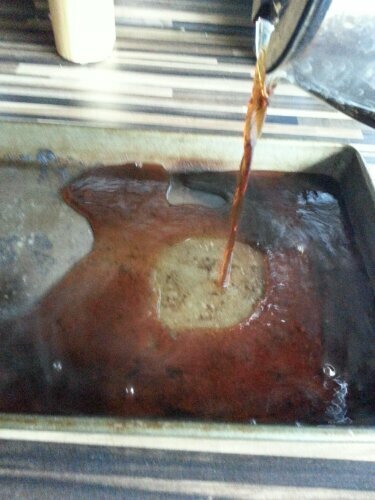 Lift and drain of excess liquid. Then place onto a baking tray and place in the heated oven for about 2 minutes. The page will dry very quickly. Obviously you can age anything. 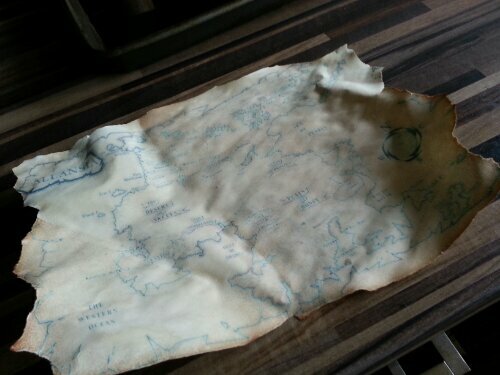 I have printed a map from the Advanced Fighting Fantasy RPG as it was the easiest thing to print and show you. Repeat the steps from above. 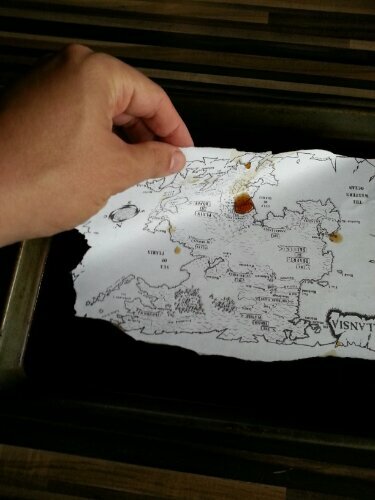 Here is how the map came out. 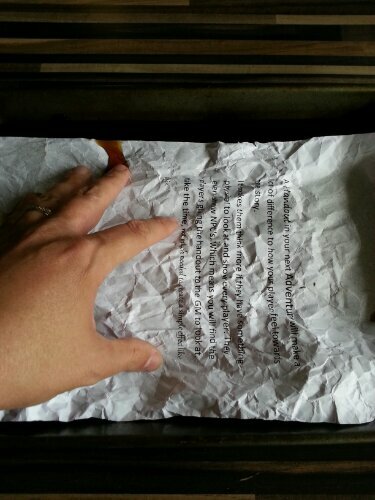 Next I folded the note into a fantasy style letter. Not having the edges lined up perfectly is best. 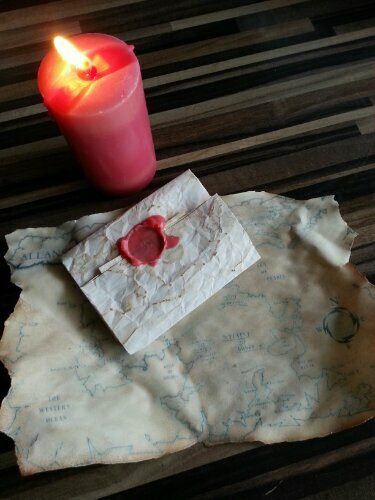 IF you have a candle or tea light handy this bit give it a great game feel. 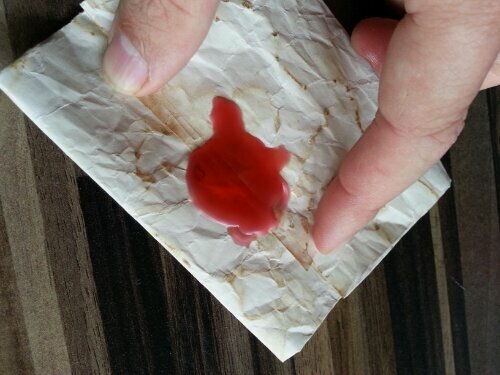 A wax seal is a fun effective operation giving your players something more tactile to handle. Also creating mystery. 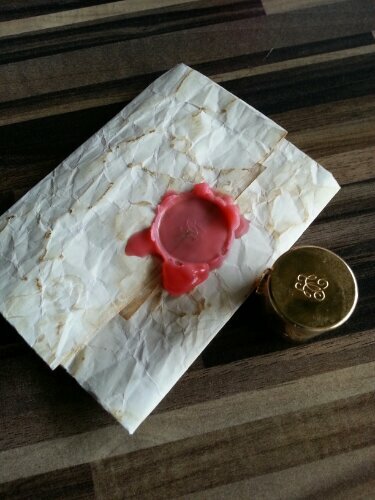 Now, sometimes you need a pattern or shape to mould into the wax. I used the lide from one of my wifes perfume bottles. Did the trick in this case. 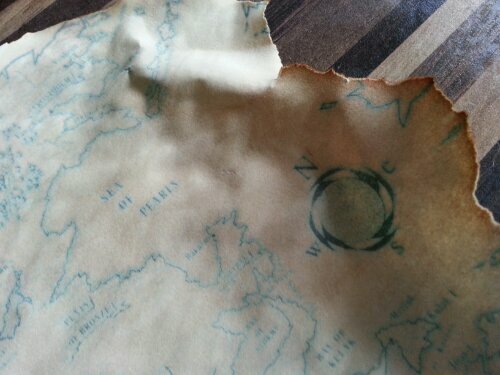 Here is a map and a note all ready for your next fantasy game. If you take more time with the dipping and drying you can get better effects. 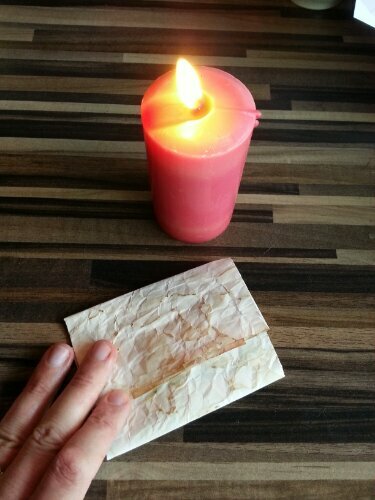 Try using the candle to brown or burn the paper. A few holes will look great. Handling fire is dangerous. Please ask a grownup to help. But please do be careful with using the oven, candles and naked flame. These are just my ideas. I am not a safety expert and I have no responsibility to your wellbeing but I’d hate to think you burnt your house down and little bubbles the hamster died a horrible death. This is great! 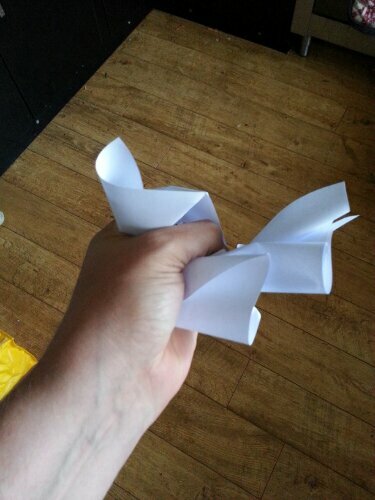 I’ve tried a few of these things before but not for ages and never all on the same document. Awesome! just noticed your background – CoC 2nd Edition, in a Games Workshop box I trust…..
Do you have the 1920s book that came with it? I have the 1920’s book; sepia with a zeppelin blueprint on the cover. It might even be YOUR book, bro! Lol.